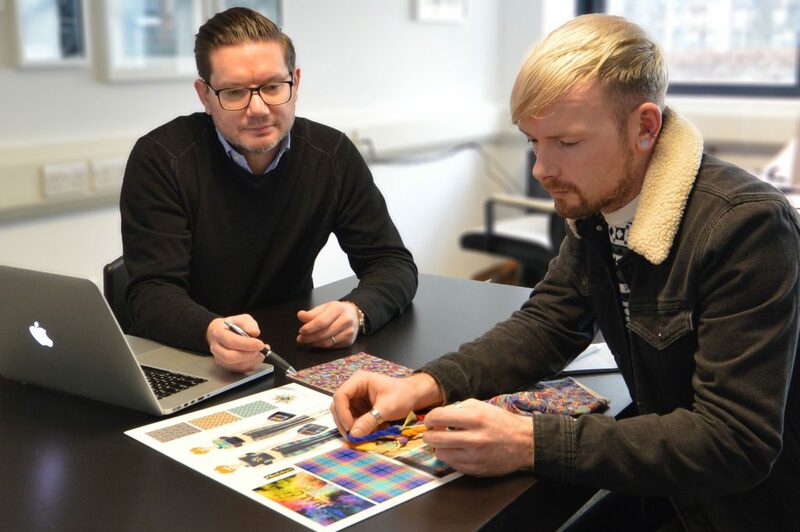 An Ayrshire College student’s specially commissioned HALO tartan is a step closer to production since going through the final design process. Graham’s cutting edge but traditional design was recently sent to Ingles Buchan in Selkirk who returned various coloured yarns which allowed the young designer to match the colours in his design against exact shades of yarn. 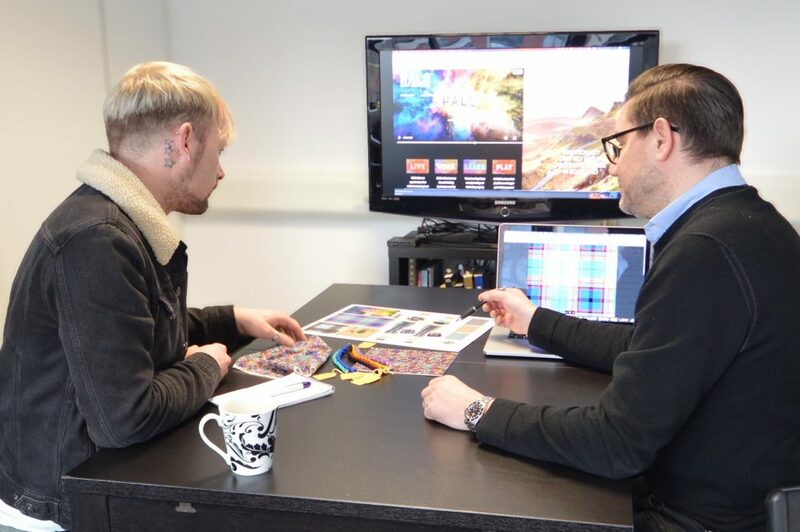 Robin Hagman of Zostro Digital has worked closely with Graham in putting together the final designs and Ingles Buchanan will now begin the process of weaving the tartan in the coming weeks. Part of the HALO’S vision is to create a lifestyle and apparel brand that highlights the passion, creativity and cutting edge ethos of Marie Macklin’s vision for the HALO. The brands are designed to appeal to the young and the young at heart. To the rule breakers, the rock stars and the underdogs. 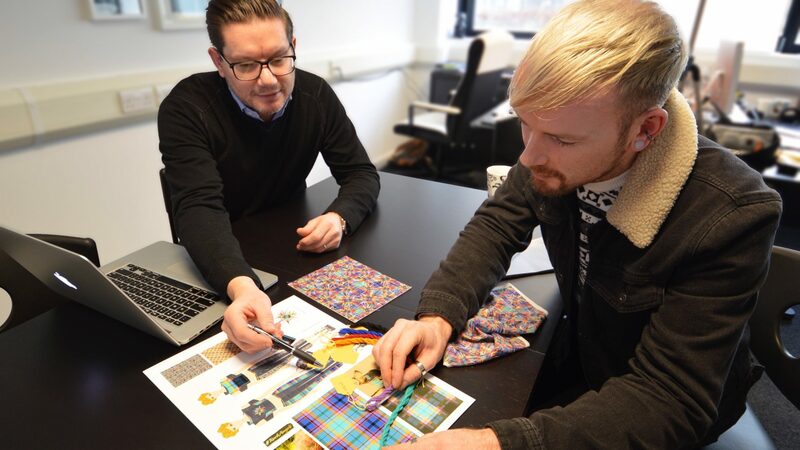 Marie Macklin, Founder and Executive Chair of the HALO Kilmarnock, said: “I am extremely proud of Graham for creating what is a traditional but innovative tartan inspired by the HALO’s Scottish heritage while pushing the boundaries of modern thinking and design. “Graham’s design really does capture the essence of the HALO while his passion really shines through in what is a fabulous design and his innovation and creativity is there for all to see.